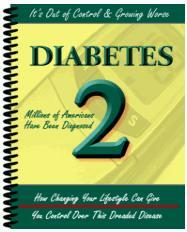 A large number of diabetics are overweight because they put out too much insulin. As you might imagine, nothing would be more inappropriate than to give insulin to these overweight diabetics, who already put out excessive insulin and have elevated blood sugar resulting from insulin resistance, rather than lack of insulin. Are you a Type II diabetic taking insulin, or one of the oral drugs called sulfonylureas, which work by increasing your insulin levels? And do you seem to be metabolically resistant to weight loss? Then chances are a hundred to one that you are a diabetic who is simply a victim of a poor assumption on the part of your physician. My approach with those already diagnosed diabetics on oral medications and/or insulin who come to me is to determine if they can produce insulin on their own. 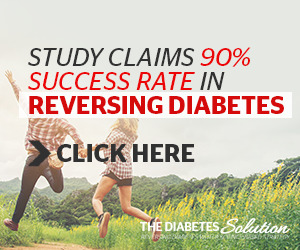 Here's how to interpret the results: If the second insulin level is 10 or more points higher than the first, it means your pancreas is working and that you probably can get off in sulin if you are willing to follow the Atkins Nutritional Approach. If it is 20 or more points higher, it is almost a certainty that you can do so. The Induction phase of Atkins is essential to accomplish this feat, as is a program for gradually reducing your dosage level of insulin (and sulfonylurea drugs), as I discuss in Chapter 24. My staff and I have taken hundreds of diabetics off insulin and thousands off oral medications, all without any ill effects. Do not discontinue medication, however, except under the care of a doctor. In Chapter 24, you will also learn that the only drug useful for overweight, insulin-resistant, but not insulindependent, diabetics is metformin. And that chromium, vanadium, alpha lipoic acid, zinc, biotin and Co-enzyme Q10 can also help individuals who are insulin resistant.